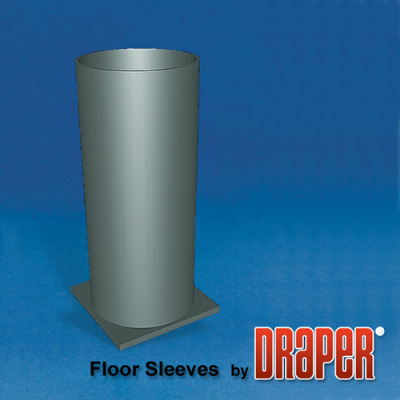 Cast-in-place floor sleeve rigidly secures standards and is adaptable for new construction and retrofit on existing floors. Sleeve is constructed of steel mechanical tubing. Square plate welded to bottom provides secure footing in concrete.